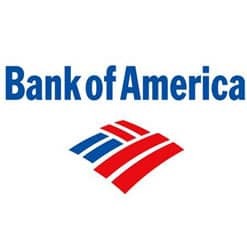 Here’s the deal — there’s no surefire way to close a Bank of America account online, sorry. However, there’s always a sneaky loophole that someone’s managed to finagle, so we scoured the Internet and found that loophole. You’re welcome. We don’t know how good your odds are. Our loophole findings suggest that some customers have successfully closed their accounts via an online BoA chat and some others didn’t. Looks like it depends on what kind of mood and how risqué the chat agent is feeling that day. Anyways, log in to your account online to initiate the chat. If it’s as easy as sending an instant message, hooray for you. We don’t know why some people have been successful and others haven’t using this method, but we doubt it’s because the chat agent just doesn’t want to do it for you (unless you’re a complete jerk), so don’t hassle the rep if they say no. It’s a matter of security, and they’re just doing their job. If you aren’t one of the lucky ones to get a rep to do it online, you should be able to go to your nearest branch, tell the teller you wish to close your account, and walk out with your cash in hand. You can also submit your request in writing to avoid having to actually visit the bank, but the process will obviously take longer and they will mail you your remaining funds (if any). If you want your money quickly, it’s best to just go there.